21 Savage, seen here performing in Atlanta in November 2018, was set to be released on bond by ICE on Wednesday. Updated 4:31 p.m. 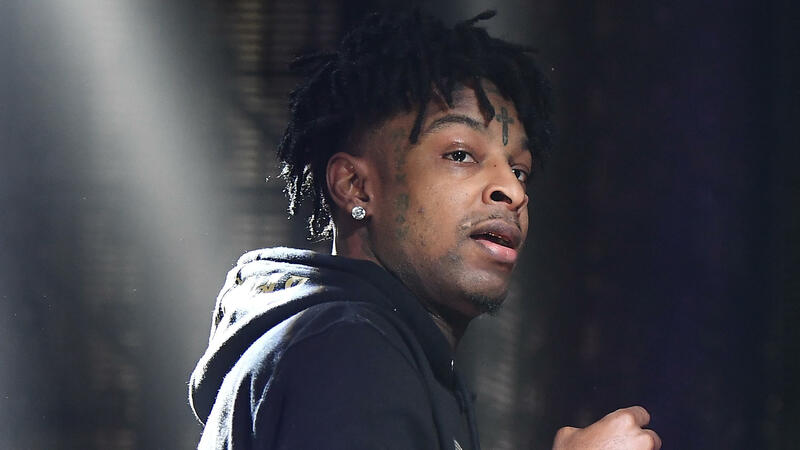 ET: An initial statement by 21 Savage's legal team mischaracterized the rapper as having been released from ICE detention. His representatives clarified to NPR that he was granted bond ahead of release. 21 Savage, the 26-year-old Atlanta-based rapper born She'yaa Bin Abraham-Joseph who was taken into custody by Immigration and Customs Enforcement on Feb. 3, has been granted bond, according to a statement from his lawyers. He is expected to be released from detention on Wednesday. "In the last 24 hours ... we received notice that She'yaa was granted an expedited hearing," announced Charles H. Kuck, Dina LaPolt and Alex Spiro in a joint statement. "He won his freedom." ICE had already begun proceedings to remove the chart-topping rapper, according to a statement given to CNN shortly after his detention nine days ago. 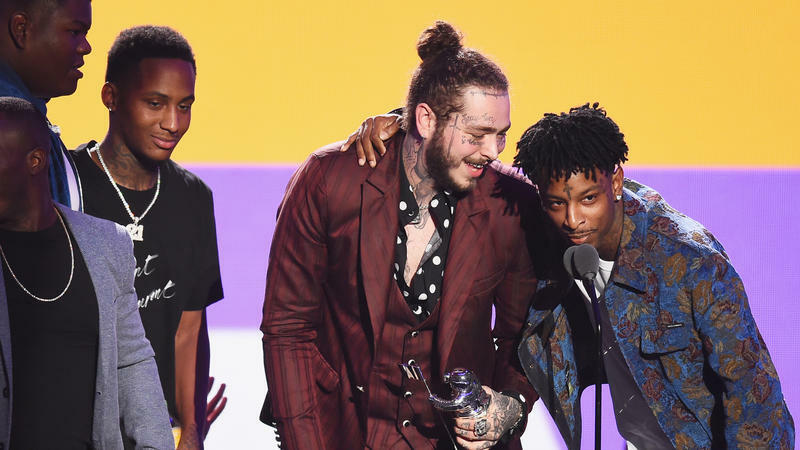 The news came as a surprise to those familiar with the rapper's career, which is widely seen as inextricable from the Atlanta rap scene where he first found fame. Abraham-Joseph was born in the U.K. before being brought to the U.S. as a child, his lawyers revealed last week in response to widespread confusion over why he had been detained by ICE. The rapper's legal immigration status is said to have lapsed some time in his early teens. A 2017 application for a U visa — reserved for victims of crimes — is still pending. In an interview last week, Leena Khandwala, a supervising attorney for the Legal Aid Society's immigration unit, told NPR that "[U visas] are vastly oversubscribed — under current projections, a U visa may not be available for a decade or more." ICE has either not responded to or declined multiple requests for comment from NPR regarding Abraham-Joseph's detention. A rally on Abraham-Joseph's behalf was held in front of the Atlanta Immigration Court earlier Tuesday, at which a group of organizations including Black Lives Matter, Color of Change and the Black Alliance for Just Immigration attempted to deliver a petition with over 450,000 signatures supporting his release. ICE officials refused to receive the materials, prompting activists to leave boxes of the petitions stacked outside the court building's main gates. "He will not forget this ordeal or any of the other fathers, sons, family members, and faceless people he was locked up with or that remain unjustly incarcerated across the country," the statement issued on Abraham-Joseph's behalf concludes. "And he asks for your hearts and minds to be with them." Additional reporting by Rodney Carmichael in Atlanta. 21 Savage, the Atlanta-based rapper detained on Sunday by U.S. Immigrations and Customs Enforcement, or ICE, has released a statement with details on his immigration status, characterizing his detention as baseless. The statement, issued through five law firms and a management company, says 21 Savage, born She'yaa Bin Abraham-Joseph, is from the United Kingdom, moved to the U.S. at the age of 7, and that he lost his legal immigration status in 2006, when he was barely a teenager.